As Donald Trump withdrew the United States from the Trans-Pacific Partnership (TPP) pact, after eight years of negotiations, its future is now unknown. But there is another agreement that most analysts believe will become an alternative to the TPP and the economic centrepiece of 21st century, namely the Regional Comprehensive Economic Partnership (RCEP). Unlike the TPP which included 12 countries from the Asia-Pacific, Latin America and North America, but excluded China and India, the RCEP is a regional free-trade agreement (FTA) mostly between Asian countries including Australia and New Zealand. When the RCEP negotiations finish, it will become the world's largest free-trade zone, involving a population of 3.4 billion people with a total Gross Domestic Product of $21.4 trillion, about 30 percent of the world's GDP. 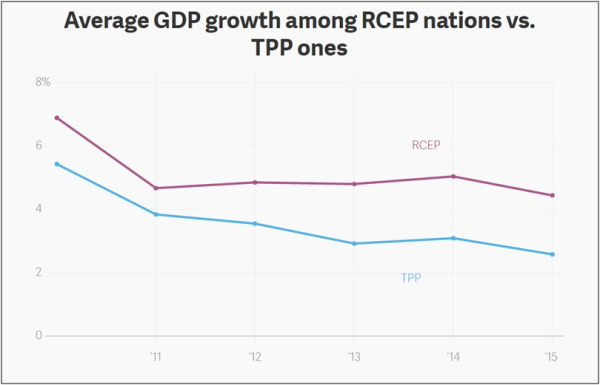 With the projected economic growth in China, India and Indonesia by 2050, the GDP of RCEP member countries could reach over $100 trillion, double the projected GDP of TPP member countries. 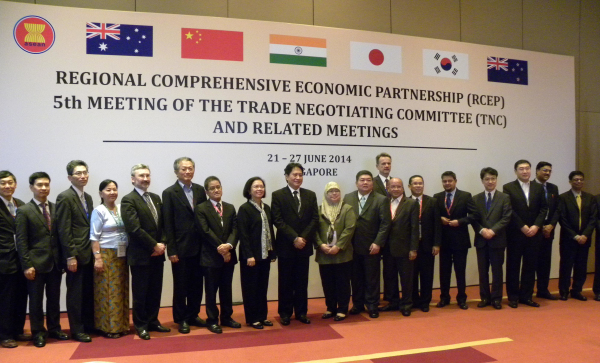 Regional Comprehensive Economic Partnership (RCEP) is a comprehensive multilateral agreement between the ten member states of the Association of Southeast Asian Nations (ASEAN) and six states with which ASEAN has existing free trade agreements: Australia, China, India, Japan, South Korea and New Zealand. ASEAN member states include Brunei, Cambodia, Indonesia, Laos, Malaysia, Myanmar, the Philippines, Singapore, Thailand and Vietnam. This is a proposed free trade agreement with the main purpose of improving trade matters between the sixteen countries. These include lowering of tariffs and other trade barriers between the member countries which will be especially beneficial to RCEP members that currently do not have free trade agreements: China-India, Japan-Korea and Korea-India. The agreement is also open to applications from other countries that would wish to join the pact e.g. remaining Central Asian or South Asian countries. While the Regional Comprehensive Economic Partnership (RCEP) was introduced during the 19th ASEAN Summit in November 2011 in Indonesia, talks were formally launched in November 2012 at the ASEAN Summit in Cambodia where each relevant country endorsed the "Guiding Principles and Objectives for Negotiating the Regional Comprehensive Economic Partnership." Since then, dozens of negotiation rounds have been held with the plan to finish the deal by the end of 2017. Recent developments at the 13th round in New Zealand include a sudden impasse by China pushing for the dismantling of the Indian three-tier approach to tariff reduction. By this approach, ASEAN countries are being offered a 65% tariff reduction immediately, followed by another 15% of reduction over the next 10 years. South Korea and Japan are being offered a 65% tariff reduction while these two countries offered an 80% reduction to India. In the third tier, a 42.5% reduction in Indian tariffs is proposed to China, Australia and New Zealand. These countries will offer India 42.5 per cent, 80 per cent and 65 per cent tariff lines reductions respectively. Sources claimed China put pressure on some ASEAN countries, namely Laos and Cambodia, to disapprove India's selective trade liberalization. Malaysia and Indonesia also followed China's arguments and opposed India's three-tier system. China claimed that RCEP is an ASEAN-led effort and denied it is controlling the RCEP from behind the scenes. 1) "RCEP will cover trade in goods, trade in services, investment, economic and technical co-operation, intellectual property, competition, dispute settlement and other issues." 2) "RCEP will have broader and deeper engagement with significant improvements over the existing ASEAN+1 FTAs while recognizing individual and diverse circumstances of the participating countries." 3) "Negotiations should aim to achieve the high level of tariff liberalization through building upon the existing liberalization levels between participating countries." 4) "RCEP will be comprehensive, of high-quality and consistent with WTO rules and all service sectors will be subject to negotiations." 5) "Negotiations will cover the four pillars of promotion, protection, facilitation and liberalization." 6) "Participants will be ASEAN members and FTA Partners. After completion of negotiations, countries other than the 16 states may join." 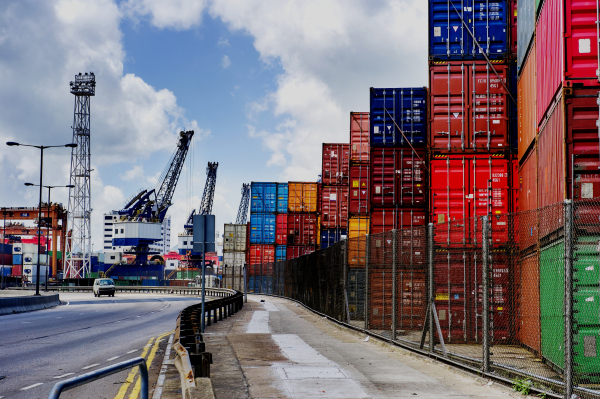 With the withdrawal of the United States from the Trans-Pacific Partnership (TPP), by far its largest member in GDP terms, the ambitious free trade agreement with over 32 rounds done over eight years, has practically come to a stop. TPP requires legislative ratification of at least six countries, making up 85% of the TPP member states' GDP which means the participation of US lawmakers is mandatory. 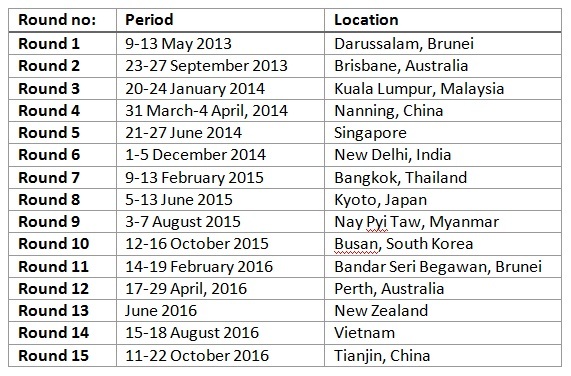 Out of the sixteen potential member states of RCEP, seven are signatories of the TPP: Australia, Brunei, Japan, Malaysia, New Zealand, Singapore and Vietnam. RCEP, which until now was in the shadow of TPP, will become the new cornerstone of free trade according to experts, including exclusively the Asia-Pacific region for now. But some differences still exist between these two ambitious pacts. The TPP, for instance, proposed removing tariffs completely on 90% of all goods from the first day the agreement comes into existence and eventually including 100% of goods at zero tariffs later. RCEP does not predict zero tariffs on the goods and even a big part of the tariff reductions will take place over a longer period. The included goods will be at about 90% of all goods. TPP would also be a more comprehensive agreement, including labour, environmental and intellectual property rights, whereas the RCEP is primarily based on trade matters and tariff eliminations. For instance, RCEP has been criticized by activists of the free culture movement for containing "quite simply the worst provisions on copyright [...] ever seen in a trade agreement."